MyPad is luxury student accommodation at affordable prices and has become the social hub for Glasgow and Paisley's universities and colleges. 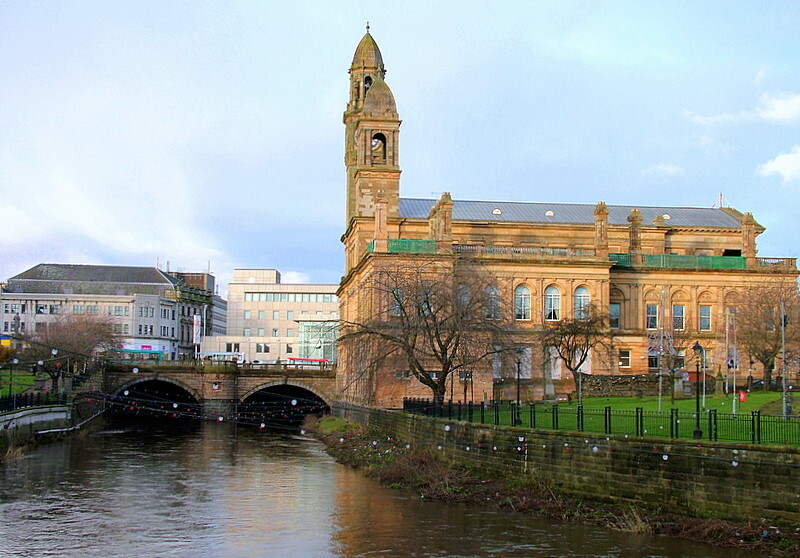 Just down the road from Glasgow, pretty Paisley is a well-kept Scottish gem when it comes to student living. If you are looking to study in Glasgow, MyPad is the perfect place for you and a lot cheaper than staying in the centre of Glasgow. MyPad Paisley is modern, affordable and secure student accommodation with easy and fast access to the centre of Glasgow. From the train station located conveniently across the road it’s just an 8 minute train ride to the centre of Glasgow and University of Strathcylde, Glasgow School of Art and Glasgow Caledonian University. University of West Scotland and West College Scotland’s Paisley Campus is just a short walk away. If you are on the Erasmus Exchange Programme or if you are a student nurse looking for accommodation near Queen Elizabeth University Hospital or Royal Alexandra Hospital, then MyPad is an affordable and convenient choice for you. Every student has a private double en-suite bedroom and access to a shared kitchen and living area – the perfect place to meet friends and socialise. There is access to ultra-fast broadband throughout the entire building as well as a shared study room which comes complete with unlimited tea and coffee to keep you refreshed during those long study sessions. The games room is filled with a widescreen plasma TV, ping-pong table, pool table and fully stocked vending machine, making it a great place to take a break from studying and catch up with your new pals. Pretty Paisley is steeped in history and culture with a wide variety of bars, restaurants, shops and clubs, including a stunning abbey that adds to the magnificent architecture. MyPad is the perfect balance of affordable student accommodation located in a tranquil, beautiful setting whilst benefiting from being a stone’s throw from the centre of Glasgow. On the second Thursday and last Saturday every month from 10am-2pm visit our Farmers' Market. Paisley Market features a wide range of stallholders offering quality fresh produce, straight from the farm to the shopping bag, such as meat, fish, cheese, fruit and chocolate. During the Winter months every Tuesday and Thursday, visit the Thomas Coats Observatory for free. The observatory is open for night sky telescope viewing. On clear nights, you can see the moon, planets and other sights. Drive-in movies up in Loch Lomond Shores, Balloch; only 25-minutes away. Ibrox Stadium is home to Rangers Football Club and only a short train journey away. Whether it is for a home game or a tour, visit this 5-star stadium while you're at university here in Scotland. 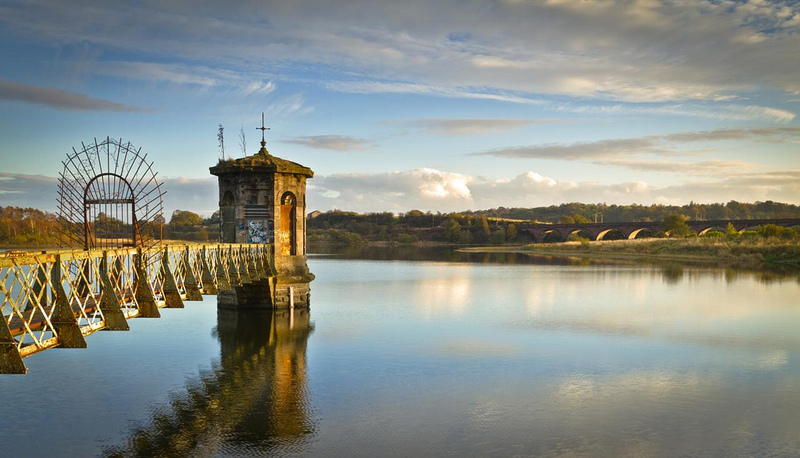 Spend a Sunday on a walk around one of our national parks, followed by a Sunday Roast at a local pub. Glasgow has been named as one of the unmissable destinations to visit in 2016 coming in the Top 20. Glasgow is home to amazing shopping, breathtaking architecture, striking nightlife and much more. In the centre of vibrant Glasgow there is always something going on. When you arrive in September, you must visit our local Brewery. Entry is only £5 with your student card. You will get a tour of the Wellpark Tennent Brewery and to see their passion for Scottish music and football, and then at the end get a cheeky wee taste of Scotland's favourite beer. Glasgow is home to over 130 music events each week, so you will never be short of something to do, or attend. Along with over 1500 shops to visit and many places to eat and have a drink at. So, what is around MyPad? We have not one but TWO shopping centers, and we even are located next door to the Piazza Center. Both are full of many cafes, bars and restaurants. You’ll never go hungry in Paisley with two affordable supermarkets close to MyPad; Morrisons and Budgens are both within 100m from your accommodation. Although Glasgow is only a train journey away with a vibrant nightlife, if you fancy something a little closer to home Paisley offers its popular Vienna Nightclub, located close to MyPad . Only an 8-minute walk from MyPad is Lagoon Leisure Centre catering for swimming, gym, fitness, health and beauty treatments as well as hockey and five-a-side football. Paisley Gilmore Station is only a 2-minute walk from the MyPad accommodation. Trains to the centre of Glasgow from Paisley leave approximately every 10 minutes and start before 6am and run until almost midnight. Journeys are £5.50 return from Paisley Gilmore Street to Glasgow Central. You can purchase a Smartcard for £21.00 a week or £80.70 a month unlimited travel between Paisley and Glasgow. This can save you up to £6.50 p/week if you travel more than 5 times and almost £30 over the month. You can also hop on a bus into the centre of Glasgow, it takes slightly longer than the train but is still very cheap and there is a stop close to the MyPad accommodation. Looking to travel by air? Glasgow International Airport is only a 7-minute train journey on a direct train. With flights to across the UK and Europe. For more information about transport or what is going on in and around Paisley, our staff on reception are on hand to help out or assist organising a day out for you.